M y grandparents were best friends. They’d known each other since kindergarten, grew up together in rural Texas in the late 1800s, moved to Southern California and were married in 1908. They were the kindest people I’ve ever known. During the summer I often slept overnight in the top floor of their enchanted two-story Spanish-style house. My bedroom had a balcony overlooking a rock-lined goldfish pond in the front patio. A small trickle of water poured continuously from a ceramic pitcher cemented among ragged rocks above the pond, dribbling into the murky green water where fat goldfish drifted lazily beneath a few lily pads. I was in a storybook house surrounded by a magical forest – my grandparents’ orange grove. The house was full of old furniture and books, lamps and paperweights, oil paintings and figurines, dishes and silver. The furniture was thick, dark wood and the paintings were hillsides, streams and forests – places without people. There was a book of maps with Persia and Siam. Everything in the house spoke to me of ancestors, an unbroken line of family where no one ever threw anything worthwhile away. If it was worth owning, it was worth taking care of and passing on to the next generation. In my bedroom was an old lamp on the night table, left on while I fell asleep. The lamp’s tubular base was decorated with a painting of an angel bearing a small-winged boy away to heaven. It was originally a gas lamp purchased in about 1860 by my grandmother’s sister, converted to electricity in the 1920s when a glass bowl and lampshade were added. As I drifted off to sleep I watched the angel and imagined she was taking me to heaven. 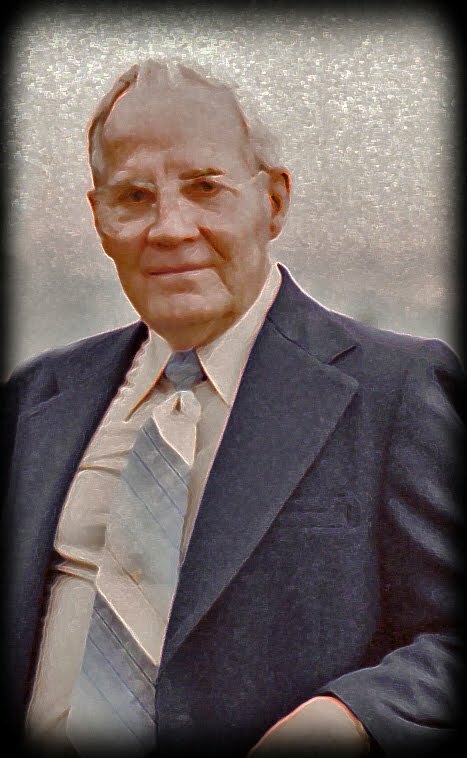 Sometimes I was startled awake by a nightmare, but quickly soothed by the stillness and security of my grandparents’ home, by the sense of their protection embracing me. The only sound was the tic and toc of the Regulator clock at the top of the stairs just outside my room. The clock had belonged to my grandmother’s father. It was the heartbeat of their home, of their constancy. Most summer mornings I was awakened by the sound of rowdy crows perched near the top of ancient sycamore trees in view of the balcony. I loved being high up in the air, stepping out onto the balcony in my pajamas, looking at the large green world and endless blue sky, smelling the warming air filled with the sharp scent of citrus, brushed with the fragrance of rose and camellia, filtered through my grandmother’s orchard, lifted on the wings of butterflies and blown into my room. I especially loved the plaintive cries of Mourning Doves, a sound I imagined I would hear when I woke up some morning in heaven. But then, I was already there. 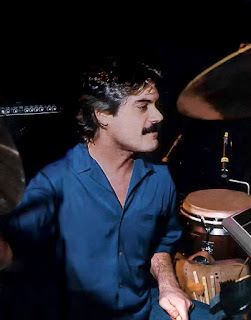 CarlosVega is perhaps best known as the drummer who played with James Taylor for about 13 years. 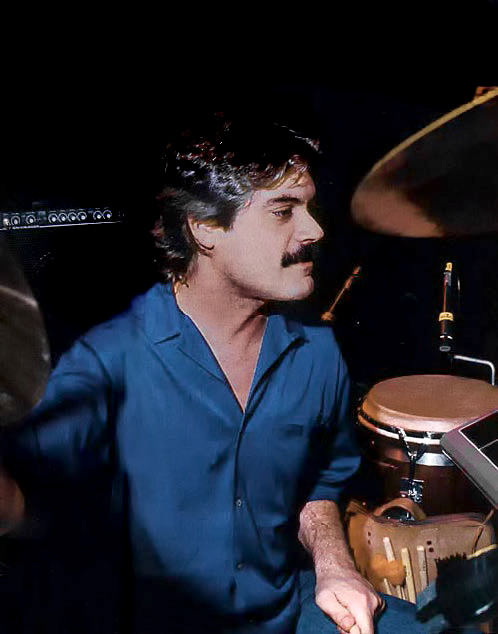 Among musicians, he was known as a premier recording session drummer, having played with the best session musicians on albums for many of the most popular artists. Click on this link for his biography. Click on this link for his drum solo video. Carlos was about 19 years old when I played my first gig with him. It was about 1976 and we were playing for a private party at the legendary Hollywood restaurant, Ma Maison, a favorite celebrity hangout. I was a guitar player and singer in a quartet called The Entertainers that was often booked at upscale locales for a very wealthy clientele. We played with a variety of drummers, including the legendary Ralph Humphrey who played with Frank Zappa and just about everybody else in the upper crust of musicians. When Ralph was unable to do the Ma Maison gig with us, he recommended young Carlos Vega, who was already making a name for himself by playing gigs with famous jazz players such as Freddie Hubbard. We were blown away by his remarkable balance between technical virtuosity and natural feeling. He was always right in the pocket, deep in the groove. I played with a variety of musicians during my fifteen years of gigs and recording sessions before changing careers, but I’d never met a young man so gifted and yet so humble about his talents. He was incredibly polite, the kind of young man you’d want to bring home to meet your sister. Carlos was a joyful soul on the brink of a great career. Sadly, he committed suicide in 1998 at age 41. I am so glad our paths crossed, and so sorry he left this world too soon. I will always think of him as the eager young musician I knew, with so many great years ahead. 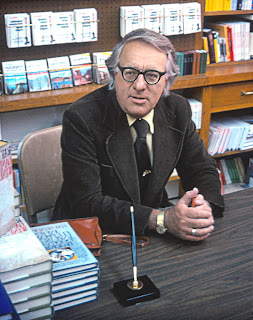 I was lucky to have met Ray Bradbury on several different occasions through the years, at book signings and talks. The first time was July 16th, 1975, at Fowler Brothers bookstore in downtown Los Angeles where he was signing books. My wife and I happened to see a small notice of the event in the newspaper, but it was poorly publicized and we were just about the only ones there. He agreed to the book signing for sentimental reasons. The bookstore was where he'd met his wife, Maggie, in 1946. She was a knowledgeable salesclerk, according to Bradbury, quoted in a Los Angeles Times story: "There are not that many bookstores left where you are going to get that kind of service or that kind of intellect." Sadly, the store closed in 1994. I asked if I could photograph him and he said yes, explaining that years ago when he'd met philosopher and writer Bertrand Russell he wished he'd taken his photo. I timidly took a few photos using my terrible Kodak 110 camera. The last time I saw Ray Bradbury was in October 2000, at Vroman's bookstore in Pasadena. My wife and I were browsing when we heard his unmistakable, enthusiastic voice. He was looking at a display of Halloween gifts, shopping for his grandchildren. I walked over to him and said, "My goodness, it’s the father of Halloween, shopping for Halloween gifts." 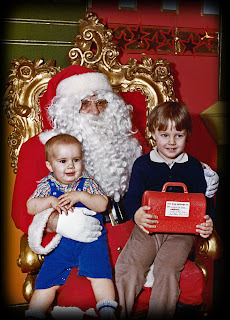 (He's author of the novel, “The Halloween Tree.”) It was like finding Charles Dickens shopping for Christmas gifts. He was very friendly, seemingly glad to be recognized, and a bit frail, walking with a cane. He showed me his tie, emblazoned with small pumpkins on a black background. A young female bookstore employee was helping him reach some of the gifts, but she seemed impatient. She asked if he wanted to purchase any books and he said: "No, I've got plenty of books. You know, I've written quite a few of the books you have here on your bookshelves." She didn't know. 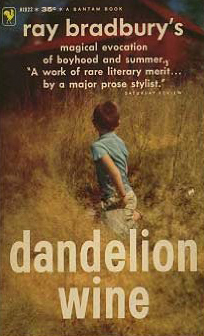 Have you read Bradbury's "Dandelion Wine"? It begins with an ode to the beginning of summer, seen through the eyes of youth. The copy he signed for me will always be one of my most treasured possessions. Although Ray Bradbury is known for science fiction, "Dandelion Wine" is not really a science fiction book. It's a deeply felt chronicle of his own youth, seen through the eyes of a boy who begins the summer with a revelation: He’s alive, really alive! What follows is a series of awakenings and realizations in rural Green Town, a magical small town based on Waukegan, Illinois, where Bradbury was born. Bradbury is a writer who, like Steinbeck, sees everything through a magnifying glass; sometimes through a microscope. Like all the best writers, he teaches his readers how to see, how to think. “Dandelion Wine” taught me so many things when I was first coming of age. His stories remind me of the stories told by my own beloved grandparents, lessons from another place and time, where people are thoughtful and kind by nature. Home. The Chinese children watched the funny fat American in the ridiculous sport coat try to blow up the balloons. He was a tourist in his late 60s, wearing a gray floppy hat. His face was a fleshy sagging caricature of itself, accented by an unkempt bushy salt-and-pepper mustache intended to disguise the steady loss of masculinity from his features. Someone back home had told him that Chinese children love balloons. But what really caught the attention of the children was the exuberant vaudeville of this short-winded man in the funny clothing who was having a terribly difficult time inflating the balloons which were too small and thin for such an amateur. Each balloon he attempted to inflate flew from his lips into the air with the sound of a small fart, prompting laughter and applause from the children gathered around him. My father, a man who once made deals with some of the most influential businessmen in America, had successfully transformed himself into an amusing street monkey. Later that day he would show a group of Chinese university students how to peel an orange.